Inspire your own creativity with Digital Mayhem 3D Machine Techniques. 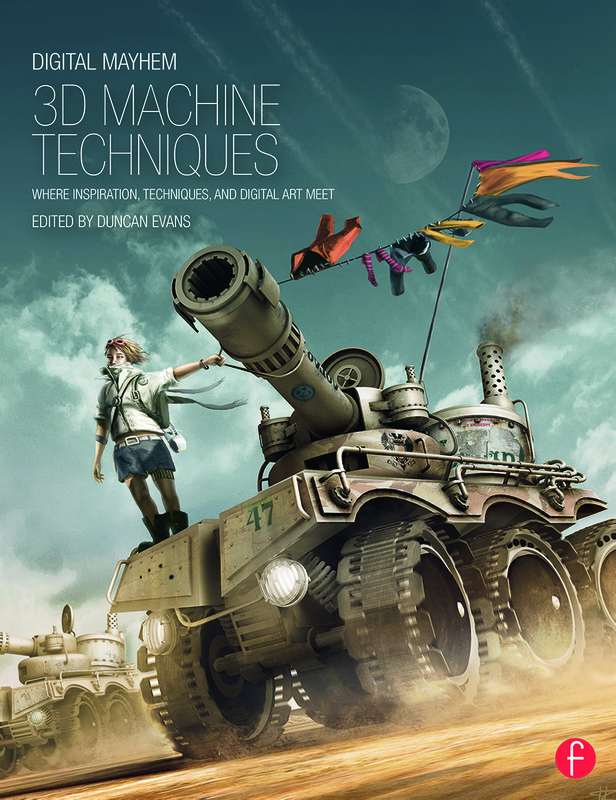 Compiled by Duncan Evans, founder of 3D Artist Magazine, this book is the next installment of the Digital Mayhem series. Explore, page after page, spectacular machine images created by the industry’s top talent. With over 500 stunning images, Digital Mayhem 3D Machine Techniques is not your basic software manual. It is where technique and inspiration meet – a detailed and innovative guide to great machine images. Each chapter contains vibrant images and an explanation of the artist’s workflow, including a step-by-step tutorial to help you achieve similar results. From pre-viz to post production, this book takes you through the whole process of creating your very own machine masterpiece! Get inside the minds of the artists with breakdown overviews and supporting imagery to explain what went into their piece. Expand your digital canvas to include a variety of software techniques, tools and workflows. Visit the companion website for additional resources to help you develop your machine technique skills. Duncan Evans is a journalist, author and photographer with a passion for 3D. He is the founder and former editor of 3D Artist Magazine, a leading UK magazine dedicated to the art of 3D and the talented people who make it, from enthusiasts to Hollywood studios. In addition to his work as a 3D Artist, Duncan has had a varied career as the Editor of The Official Paintshop Pro and Digital Photo User magazines. He is the author of over a dozen how-to books, and developer of short form and digital content for the Digital Art community. Evans is also the Editor of Digital Mayhem: 3D Landscape Techniques, which published in 2013.